Jordan and Chris were married during a magical ceremony in the woods at Aldridge Gardens. The day began calmly with comfortable chatter, and by the end of the night that milieu hadn't changed much. The couple, their family, and their guests seemed dedicated to visiting and getting personal. Sweet moments abounded. This charming, laid-back wedding was sweet as can be! If you haven't guessed it yet, Callie and Mike's wedding was seriously fun. They are quite the pair, and Callie's incredible dress and red lipstick (plus her contagious smile), set the mood of the day straightaway. 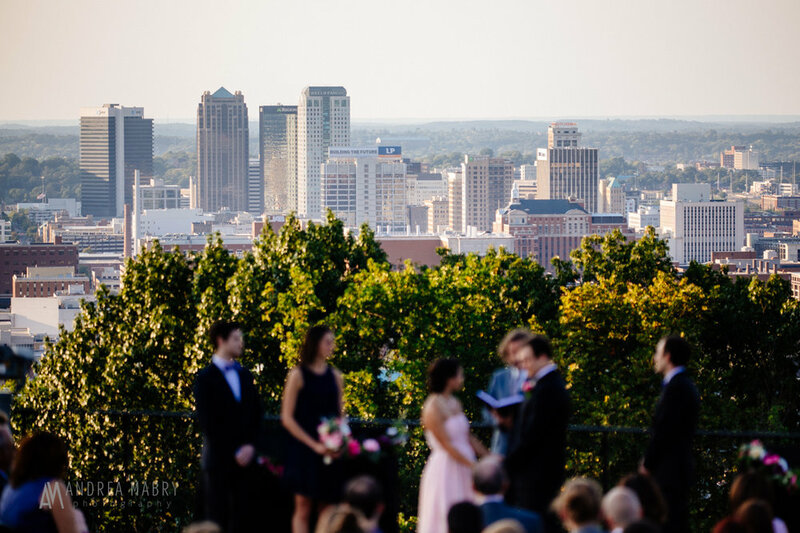 The ceremony was held at Independent Presbyterian Church in downtown Birmingham. 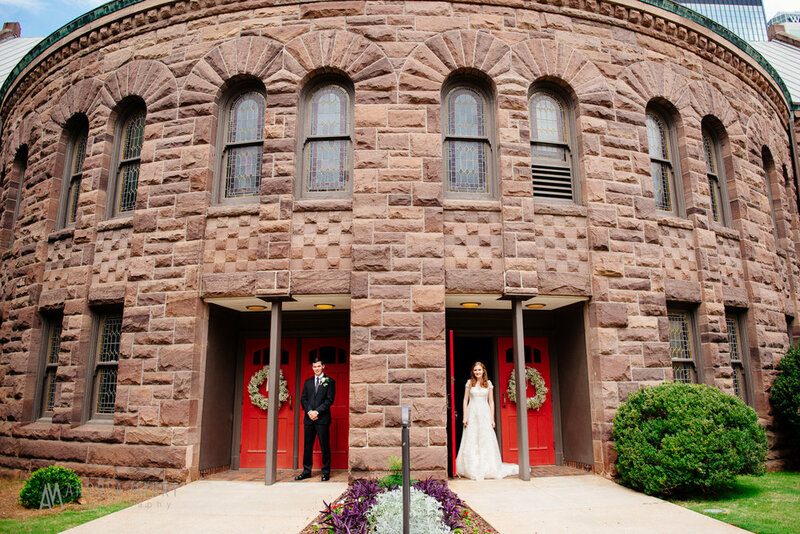 The stained glass and somber atmosphere of the church gave this wedding day its serious side, which unfurled into a slew of bright colors as soon as you walked in to the reception at BridgeStreet Gallery and Loft. Guests broke it down on the dance floor, the bride shotgunned a beer with the groom and groomsmen (Good People Pale Ales... a serious shotgun experience, y'all), and the whole evening ended in a swirl of colors and sparklers. Lindsay and Brad were married in the gorgeous Chapel of St. Francis of Assisi at Camp McDowell in Nauvoo, Alabama. The couple spent all day at camp, from breakfast and checking on the roasting pig in the morning to the dance party that lasted late into the night. Despite the rain, Lindsay's and Brad's infectious grins kept spirits and energies high all day.